Each month I reach out to the people who support the work done here at the site on Patreon (seriously, thanks) for questions to answer in the mailbag series. It’s just one of the perks that they get for supporting the site. If you’re interested in that, you can check it out here. Particularly during the offseason, this support keeps things alive here at the site. Now let’s jump into the questions. How is Rule 5 shaping up? Who needs to be added (and won’t be)? Who gets dropped from the 40 man to make room? Well, we don’t know how it will shape up in terms of who the team could select from other organizations until late in November when teams have to make their roster moves. When it comes to the Reds and who needs protecting, it’s a smaller class this year. Jimmy Herget needs to be, and almost assuredly will be added. The 2015 (and earlier) college draft picks need to be protected. The 2014 (and earlier) high school crop needs to be protected. Herget looks like the only 2015 guy that will be protected. From 2014 and earlier you have a few guys that should at least be considered. Tejay Antone could have an outside shot at being taken as a potential reliever if left unprotected. 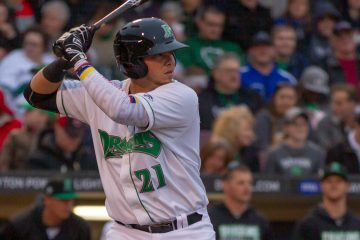 Brian O’Grady had a strong year, has position flexibility, and has Triple-A success. He could be an outside shot kind of selection, too. Cory Thompson is interesting as a reliever, but I think he’d be a very long shot when it comes to being selected. Those are the guys that have been around the system since the start. It’s possibly the guys that are “newer” to the system, and in the bullpen, that could warrant some thought. Looking at that Double-A bullpen there were some interesting arms there. Joel Bender is a lefty who had good numbers, has enough velocity – could get a possible look. Robinson Leyer posted a 2.59 ERA with 65 strikeouts and 28 walks. He’s a 94-95 MPH guy who can reach higher. Domingo Tapia brings big velocity, generally sitting 96-97 and routinely touches higher. All of these guys are older, and that’s probably working against them. This latter group will need decisions made on them sooner than the former group. These players will be free agents once the season is over, but if added to the 40-man, will remain with the club. As for who gets dropped? I think that Jimmy Herget’s a lock to be added. Beyond him, I’m not sure they add anyone else. That would mean you only need one spot (for now). I’d imagine you’d be looking at Blake Trahan and Mason Williams first. What do you think should matter to the Reds when selecting their manager and do you have someone you think fits best? 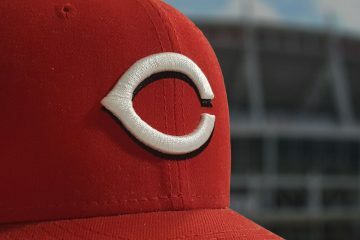 Second, how do you think the Reds can realistically go about improving their starting pitching, including what you don’t think they should do (how much is too much in trade or cash)? There’s a lot that goes into managing, but I also think it’s a very overrated job. To clarify, I think that many people on the outside think that the manager has far more to do with the winning, or losing, than they actually do. Assuming someone is actually qualified to manage, and isn’t just some random idiot off of the street, the difference between the best and worst managers probably isn’t very large. With that said, if I am the Reds and hiring a manager, I’m looking for a few things. First and foremost is someone who is going to be on the same page as the front office. It just seems that for years and years that the front office had Plan A for what they have wanted to be happening with the team, and the manager, whoever it happened to be at the time, has had a different plan for how they were utilizing the players. That kind of stuff has to stop. Second, and this is probably very much aligned with the first point, is to hire someone who not only understands the advanced analytics, but is willing to implement them into strategy on the field and in the lineup. Along these same lines, someone who can communicate these “new” ideas to the players. While it seems that every front office on the planet is on board and understands these things and how valuable they are, the players have all been brought up with old school ideas and sometimes aren’t as receptive to them because they’ve been taught and told differently their entire lives. You don’t have to be able to calculate this or that theory to be able to understand the idea behind it and why it works in the long run. Being able to have a manager that can make an idea simple to understand is key. As for someone that I think is a good fit, no. I’ve said it a million times – I’m not in any position to ask a candidate the kinds of questions I would need to ask them in order to feel good saying “this is the guy I want”. Even guys who have had past managerial experience and a track record or decisions aren’t easy to peg. Perhaps their decisions were based off of bad information given to them from above. Or perhaps their decisions were based off of great information given to them from above. There’s just too much unknown from the outside for me to get behind any specific candidate. To improve the starting pitching I think they need to add two legitimate starters. How they go about acquiring them doesn’t matter much. But if this team wants to truly compete, they need to add 350.0 innings of 3.50 ERA baseball or better. Whether that’s going all in on a guy like Dallas Keuchel in free agency and acquiring someone else via trade using some of your minor league depth, or making two trades – not sure. But if I’m the baseball moves czar for the Cincinnati Reds this offseason, that’s my plan. Add 350.0 innings of roughly 3.50 ERA baseball to my rotation from the outside. It won’t be cheap. And it won’t be easy. But it’s the only solution for 2019 to not be a trainwreck that isn’t based on crossing my fingers and hoping everything goes perfect with the internal solutions. How likely is it that Hunter Greene has TJ surgery? If not, is it just delaying the inevitable? Second, I remember you mentioning other teams were concerned about Senzel’s health, and that his trade value was diminished. Are the Reds as concerned, and what are your thoughts? I’m not a doctor and I haven’t seen his MRI. That said, his tear isn’t serious enough that it’s a “no doubter” that he needs surgery. I do not know the exact treatment that he’s getting. But the injections you can get today can actually repair tears to an extent, and those injections are getting better with time, too. It’s incredible. 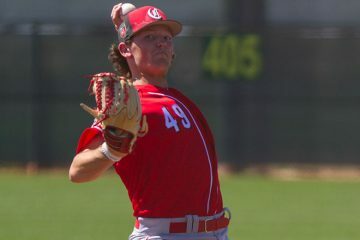 But, let’s say that March gets here and things didn’t go as well as they had hoped and he’s got to have Tommy John – so what? If he had it in August of 2018, he’s missing all of 2019. If he has it in March of 2019, he’s missing all of 2019 and probably back on the mound in games in June. You’re risking two months if he gets the surgery after trying rehab. And there’s a chance that the treatment he’s doing means he won’t miss any time at all. The biggest thing that often gets lost in this whole conversation (and I’ve had it with 100 people because everyone wants to talk about it) is this: Everyone wants to just say “just have the surgery, it’s going to happen eventually” – or some iteration of that. Very few seem to think that the treatment is going to work (fans – not doctors/Reds personnel – whom I’ve not talked with at all about what they think in terms of how this plays out). But here’s what we need to remember and it’s almost never actually talked about: A high number of guys come back from their 1st Tommy John surgery fine. An incredibly low number of guys come back from their 2nd. If you can avoid the 1st, do so. I’ll go to the grave arguing that trying to rehab this first is the right move with 100% certainty. Also, the final point here: The team can’t force a player to have surgery. They can only make the recommendation. It’s why guys so frequently get second opinions. With Nick Senzel and his health, publicly the team says they believe that they’ve got things figured out in terms of the right treatments that will keep Nick on the field. I’m not a doctor, and reading about treatments on the internet is an iffy proposition at best. But what I have read says that treatment can be helpful, but there are things that can cause re-occurance that you can’t “treat away”. As for my thoughts: I’m not a doctor. 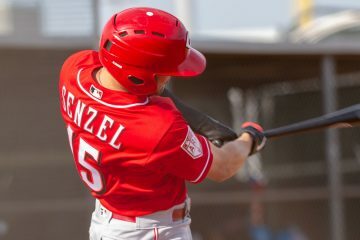 I think that when Nick Senzel is on the baseball field that he’s a very, very good player. And I hope that he’s able to play 150 games a year for the next 15 years. We did not see Jesus Adames, Jon Moscot, Jonathon Crawford or Nick Travieso in 2018. Are there any updates on these pitchers? Of those four pitchers, only Nick Travieso is throwing. I spoke with him a few weeks ago and he was scheduled to pitch some in Goodyear before shutting things down and getting ready for spring training. The other three guys all had a procedure this year and are not throwing currently. All are rehabbing and seem to be moving in the right direction with that. Why is Kolozsvary, or anyone for that matter, on the Arizona Fall League “taxi squad” instead of being eligible to play in any or all games? That’s a good question that I wish I had a better answer to. For those who aren’t aware, in the AFL some players can be designated as “taxi squad” players. They are only eligible to play in two games a week. They used to be only available on Wednesday and Saturday, but now it’s just limited to two games per week. My guess is that it’s simply a way to get a few guys additional playing time. Rosters are limited to 35, not counting the taxi squad guys. Of course, since MLB sets the rules it’s strange that they can’t just say “oh, now you can have 39 guys on the roster”. 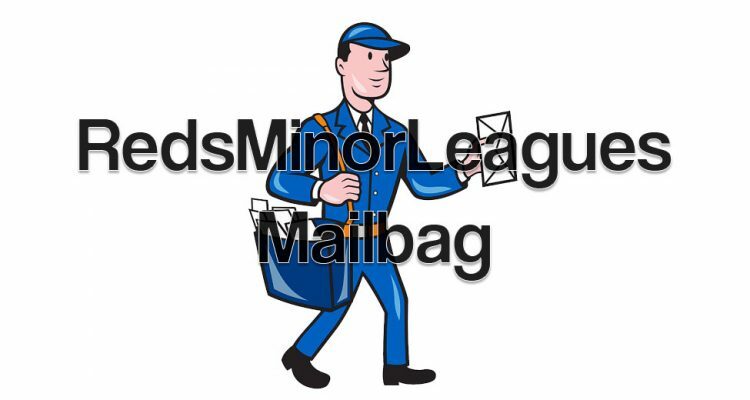 Expanding on that last question about AFL taxi squad players would you say that just about every AFL team has one that is a catcher? Seems like quite an opportunity for Mark Kolozsvary as players with only Low A experience are rare in the league and he has to be somewhat gassed after his first full season league and the wear and tear on a catcher. Unfortunately the taxi squad players aren’t noted anywhere, so it’s tough to give a good answer here. That said, having the taxi squad guy be a catcher seems to make sense given, as you noted, the wear-and-tear the position gives you. You can let them all get a little rest, but also get that extra experience, too. I have point of disagreement on the manager. I am not sure how many games the manager want win, but a bad one can lose games. Too much bunting, bad line order, etc. This may only be 10 games, a year, but for a fair team, this could be the difference between the post season, and just missing. Do like you articles, and I am a Pattron supporter. I think the difference between a good and a bad, but still qualified for the job, manager, is probably 5-6 wins over the course of the season. That’s not insignificant, of course. A 5-6 win player is an All-Star. But, you win and lose with your players. A bad manager is going to be better if he’s got a stocked team because it gives fewer opportunities to make bad decisions. Likewise, a good manager is going to be worse when he’s got a bad roster because the decisions he’s got to make are usually going to be between a bad option and another bad option. I pretty much agree with all your points about the manager job. All I would add or maybe disagree with to a degree is that my sense this year was that the front office itself was something of a moving target as far as preferred direction. I have trouble believing Riggleman cooked up idea of Winker as “odd man out” or Bailey to the bullpen only to be subsequently countermanded from above. In 2 high profile situations like these, particularly the Bailey situation, I’m inclined to believe Riggleman thought he was following the company line only to find out after the fact the company line he was following was no longer the company line. I also believe he was following the company line with his (over) use of the starting infielders and not just trying to win every game for the sake of his own chances of getting the “permanent” manager position. I think it’s worth pointing out regarding Hunter Greene that there still is a percentage of guys who never make it all the way back to peak performance from their first Tommy John surgery (see Bailey, Homer). It’s not a magic pill and it requires a real mental toughness to get through the rehab process and getting all the way back is still not guaranteed. Lots of good insights into this in Jeff Passan’s book The Arm. I’m more than okay with doing everything realistically possible to keep Greene from having the surgery.